Payday is one of the most sweetest words in the English language. After paying 2 credit cards and depositing some cash in savings, I wanted to “treat” myself. Since I wasn’t in the mood for steak, oysters or anything tipped in gold, Falchi’s I must go! 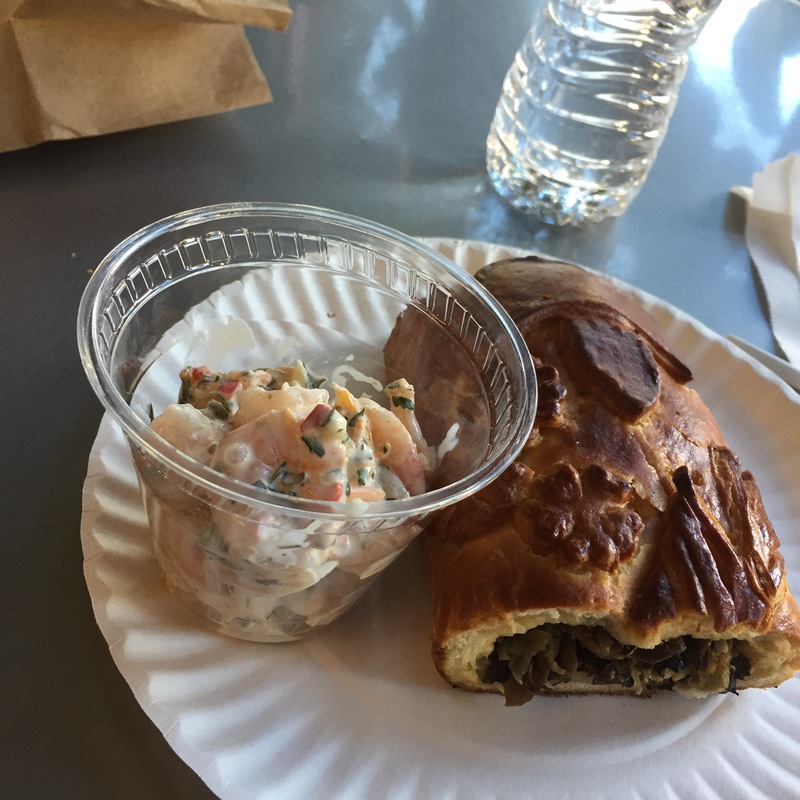 So, to trump this stupid fear, I walked to Don Tapas kiosk next door to Stolles, and ordered their Friday cerviche special: cerviche shrimp in tarter sauce. Luckily, the shrimps have been cooked/boiled, and the tartar sauce was a tangy aioli, full of onions and capers. I’ve never been a fan of tarter sauce, so it was just okay.